This remastered and redesigned edition of Morrissey's second studio album differs from the original release by the addition of bonus tracks "Pashernate Love" and "East West" and by the replacement of "There's A Place In Hell For Me and My Friends" by its radio session counterpart. The track order was slightly changed to includes these additions and replacement. Remastering by Bill Inglot at D2 Mastering. 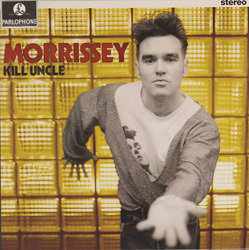 Information at http://www.killuncle.co.uk/. 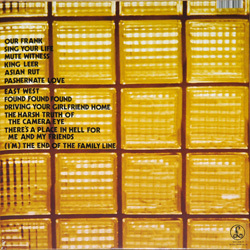 UK and/or Europe: The release of this reissue was first promoted with the help of a custom-printed cd-r of the complete album slipped inside a plain white EMI paper sleeve. Stock copies of the album with a promotional sticker over the barcode were later sent out with an A4 "Parlophone Presents" press sheet. 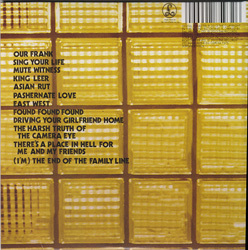 A promo edition of the album is also found in a card sleeve featuring a slightly cropped version of the album's artwork.